With the ever increasing demand more efficient Aircons, many manufacturers have been trying to come up with products that meet the customers’ expectations. It is a fact the aircons’ quality has been improving every day thanks the innovativeness of the manufacturers. Among the best aircons that the market has ever seen are the variable refrigerant volume commonly referred to as the VRV. 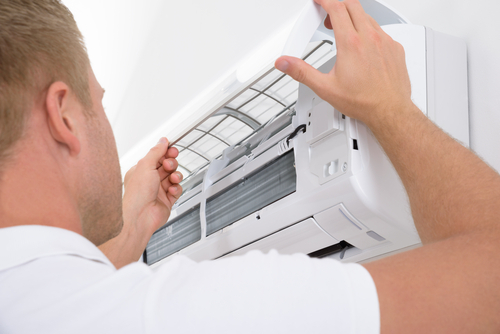 VRV is a relatively new HVAC system that has been in existence approximately 30 years. It was a technology that was developed and introduced into the market by Daikin, a Japan company and a leading manufacturer of HVAC in the world. VRV is a protected name by the Daikin Industries who invented this technology and thus, other manufacturers have resulted into using the term variable refrigeration flow (VRF). The working principles of both are same. VRV is a multi-split type air conditioner that is designed for commercial building application and large homes. What makes it effective for these kinds of premises is the fact that it can control the temperatures of individual rooms independently. 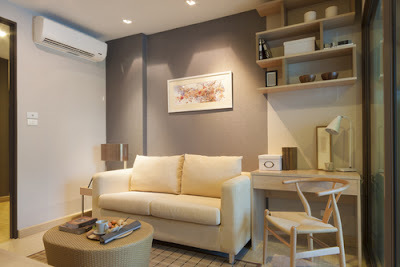 VRV aircon is designed with a single outdoor unit that connects to multiple indoor units. These indoor units are the ones that are installed in individual rooms where they are operated independently by a room thermostat while the outdoor unit provided the required refrigeration. 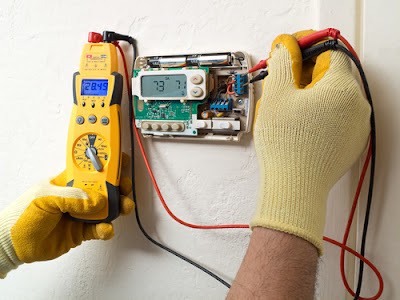 Technically, VRV is an air conditioning/heating system that connects multiple indoor units through the refrigeration piping to a single outdoor unit. It may come as a heat pump or a heat pump with heat recovery system. The heat pump with heat recovery system allows the indoor units to select either the heating or cooling modes regardless of the mode at that the outdoor unit is in. But this is different in heat pump systems where the indoor units rely on the mode that the outdoor unit is in. To achieve such variations, VRV is installed with an aircon inverter which adds a DC inverter to the compressor and this supports variable motor speeds. It is these variable motor speeds that allow for variable refrigeration volumes to enable independent control of indoor units. VRV system is indeed on of the greatest HVAC systems in the market and it is doing incredibly well. But like any other device, it has its pros and shortcomings. The energy efficiency of this system is incredibly high. Compared to the traditional aircons, VRV will save you up to 50% of the energy consumption. This cut in cost has been achieved by the fact that there is only one outdoor system that is controlling all the indoor systems. If it were traditional aircons, each of the indoor system would be connected to its outdoor system. You can imagine a commercial building with more than fifty rooms and how many HVAC systems would be required and the energy needed to run them. Installing VRV will eliminate all outdoor systems and this is how it helps in cutting the cost of the energy thus improving the efficiency of running the entire system. VRV aircon requires very small space as compared to the traditional ones. With this system, you only need to install one outdoor system as compared to the multiple systems of the traditional aircons. So the outside space that is required is very and you can utilize the rest with something more productive. Similarly, the ceiling space that is utilized by the indoor unit is relatively small compared to a majority of the competing brands in the market. The overall space utilization of VRV aircon is incredible and thus makes it very attractive to areas where space is an issue. This aircon is one of the most flexible HVAC systems that you can find on the market. First, it allows you control each indoor system independently regardless of the outdoor system mode. This is the main feature that is making it very popular among large homeowners and commercial building developers. VRV also provides a superior design flexibility that enables it to be used installed in any commercial building. The aircon is also quick and easy to install since it only requires the installation of a single outdoor system as compared to the traditional aircons. For users of VRV aircons, this is definitely one of the easiest systems to use. You do not require any technical knowledge so as to operate it. The system is designed in a manner that it is user friendly by digitizing it. The current VRV in the market are remote controlled and thus you control the room temperatures at the comfort of your seat. Each indoor system comes with a LCD remote controller and the same system allows for auto restart function. This is one of the few aircons that offers the use a wide selection of modes. VRV aircon allows you to select from a broad range of modes that it comes with. Depending on the external temperatures the device has the capability to provide precisely temperature levels that you need. The current VRVs have been digitized and this makes it very easy to select an a variety of modes. This is a very costly option compared to the traditional systems especially when it comes to the initial installation. But you must also consider that other cost such maintenance costs will significantly reduce after installing this system. You must also put into consideration the energy consumption will reduce by almost 50% after installing this system. Thus the overall cost over time will reduce significantly. Being a single manufacturer driven means that any repair or modification of this aircon can only be done by the manufacturer. This is one of the cons associated with VRV aircons that any time you have a problem with the system, it is only the manufacturer who can work on it. These are just of the facts that you need to know about VRV aircons. They are very effective in the function and above, their efficiency is incredible. With this type HVAC system, you will be enjoying precise room temperatures as you wish due to its broad range of modes. Its overall running cost is lows and thus it is the perfect aircon for any commercial building application.